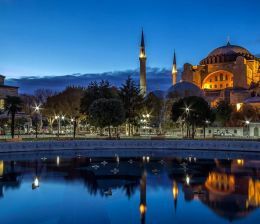 Istanbul is the city that does not need history to tell about her simply because she has written her own history that dates back to hundreds of years ago. You can feel this when you have your first step in Istanbul to take a nice Istanbul boat trip accompanying your lovely friends or your family. The prestige of the old history of Istanbul is mixed with the modern style of the fast technological life where you can spend the night at one of the luxurious hotels near the Bosporus then you can start your day next morning by visiting Yıldız Parkı or the Star Park in English. 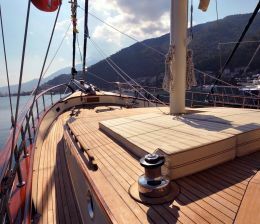 This is an important destination that you need to keep in your itinerary while visiting Istanbul boat trip. Our captains have prepared wonderful itineraries for your cruising in the Bosporus for your Istanbul boat trip that you are waiting for eagerly since last winter. We would like to tell you, dear customers, that our yachts and boats can challenge and compete with luxury boats and yachts in the whole world. For your inquiries concerning your Istanbul boat trip, you can tell us about what you prefer if you have something special in mind via our phone number or via our email address. Our captains will warmly welcome your inquiries and give you the right answer as soon as possible. They can communicate with you in many international languages like French, Russian, Spanish, English, and Arabic. Istanbul boat trip.